Mammals that spend their time in the water are a diverse group of animals. There are actually 128 different species. 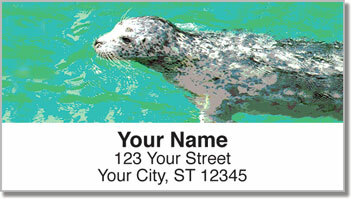 We've featured four favorites on this set of return address labels from CheckAdvantage. 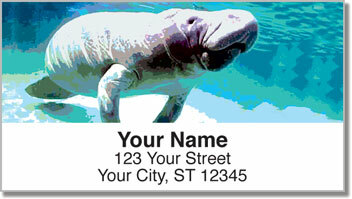 You'll find a dolphin, two types of seals and a big friendly manatee! It's a unique way for nature lovers to mark their mail. These labels will make you smile - and not just because of the cute creatures featured in the photos. Thanks to the convenient self-adhesive backing, all you have to do is peel and place one on all your letters and packages. 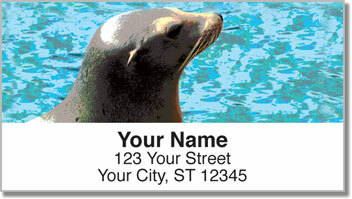 Order your own Marine Mammal Address Labels right now! 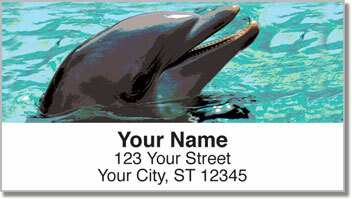 You can also get this wildlife design on a set of matching personal checks.